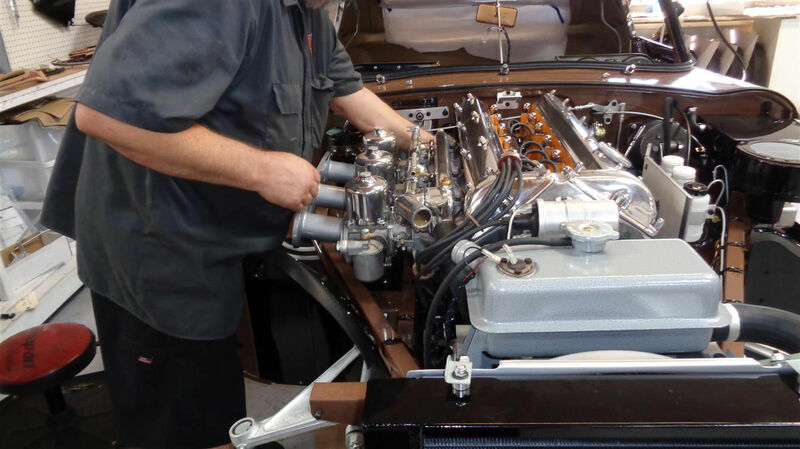 Routine maintenance is necessary for the longevity of your classic Jaguar XKE. Most people with collector cars today drive their cars less than 2000 miles a year. The oil isn't going to get dirty, but it will get old and still needs to be changed. We recommend that you change the oil every 2500 to 3000 miles, or once a year - whichever comes first. Oil and filter changes are a very inexpensive service that will improve the longevity of your engine's life. 1. Check the Oil level while the car is level. 2. Check the Coolant level. 1. Check Brake and Clutch Fluid reservoirs. 2. Check the Tire pressure. Recommend 32 psi for most. 1. Change the Oil and Filter; use either Castrol 20/50 or Mobil Synthetic. If it is a recently rebuilt engine, don't use synthetic Oil for the first 3,000 miles or the Rings might not seat properly. 2. Check Brake and Clutch Fluid reservoirs. 3. Top off the Carburetor Piston Damper. Use either a 20 or 30 weight Engine Oil. 4. Check the Wheel Cylinders and the floor of your garage for any leakage as well as the Radiator for levels and leakage. 5. Battery acid buildup should be removed and kept clean, and Battery Terminals should be checked to always be tight. 6. Tire pressure should be checked, keeping the same pressure in all Tires. 1. Lubricate Distributor with light oil around the Pivot post. Smear grease on the Cam. 2. Check the contract breaker points in the Distributor. 3. Take out and clean Spark Plugs (or replace) and check the gap. 4. Check the Transmission Oil level using the access panel on the driver's side of the Transmission Tunnel. 5. Check the Rear Axle fluid level. It should be to the bottom of the plug hole when the car is level. 6. Check all Belts for wear. 7. 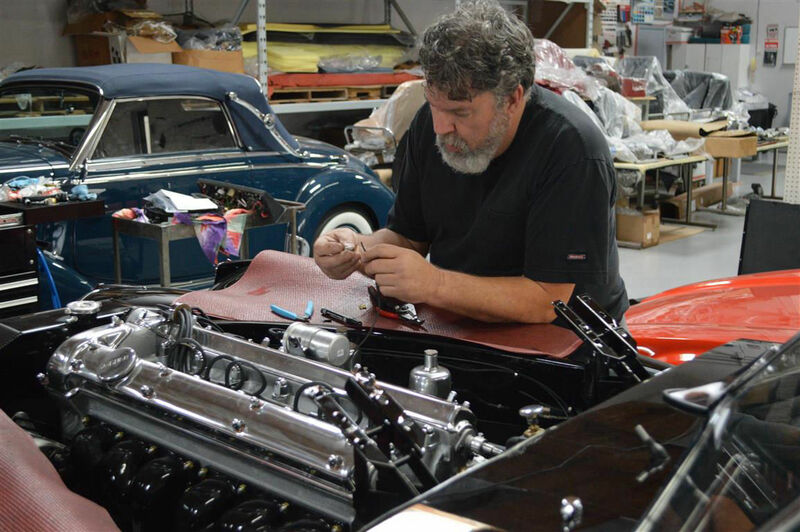 Clean the Carburetor screen filters and tune the Carbs (if needed). 8. Clean or replace the gauze in the glass fuel filter and remove the residue from the bottom of the fuel glass bowl. Make sure the seal is in good condition when reinstalling. 9. Lubricate the Chassis using the fittings at the Steering Housing, the Steering Tie-Rod, the Steering Swivel, the Rear Wheel Bearings (remove the rear wheels), the Front Wheel Bearings (also remove the Front Wheels), and the outer & inner Pivot Bearings in the Rear suspension. Where there are grease fittings, use one to two nips with a grease gun, and where there is a cap top it off with grease.